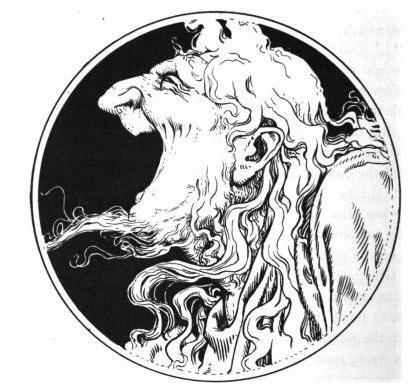 Ruth at Celtic Myth Podshow is blogging today about shellycoats, a generally harmless if perplexing creature from Scottish folklore. THIS is a freakish spirit, who delights rather to perplex and frighten mankind than either to serve or seriously to hurt them. Shellycoat, a spirit who resides in the waters, and has given his name to many a rock and stone the Scottish coast, belongs to the class of bogles. When he appeared, he seemed to be decked with marine productions, and in particular with shells, whose clattering announced his approach. Many, many years ago, the Chief of Clan MacLeod was a handsome, intelligent man, and all the young ladies in the area were very attracted to him, but none suited his fancy. One day, he met a fairy princess, a bean sidhe, one of the Shining Folk. Like all the other females he met, she fell madly in love with him, and he with her…. For some reason, horses and faeries often go together in Celtic folklore. Not only are faeries sometimes depicted riding ghostly horses with bells adorning their tack, there are also pookas and other creatures that often assume the form of a horse. And then there are water horses (or kelpies)—horses that live underwater, as the name might suggest. There are also, it turns out, faeries who turn into water horses. Not to be confused with a Kelpie, the Boobrie is a Scottish fae that possesses the wondrous ability to shapeshift into a water horse. Since the Boobrie salivates at the thought of cows and fat lambs—its favorite snacks, along with succulent otters, ships transporting barnyard animals along the coast of Scotland risk being accosted. Boobries can even gallop on top of the waves to reach their destinations and are often mistaken by sailors for ghost horses. In addition to a water horse, the Boobrie can take the appearance of a black feathered waterbird, something akin to a fierce cormorant. This is perhaps the Boobrie’s default form. Its strange claws appear like the wizened hands of a demon, and its caw roars like the bellow of a bull. Some legends insist the bull is one of the Boobrie’s possible forms and that it can stray from the coast to nestle among thickets of purple heather. Whether or not this fae can hug the land, it’s a rare loch in Scotland without the menacing presence of a resident Boobrie. As a bird it loves flying low over the turbulent seacoast, its huge ebony wings casting sinister shadows on the moon spattered waters below.